Erin and Alicia did a wonderful job at our wedding this past June. Looking back at our pictures, my husband and I felt as though we were experiencing our wedding all over again. They captured all of our greatest moments from our wedding and even some we had forgotten about! They made everyone feel so comfortable and really made sure they took all of the pictures I wanted throughout the night. As someone who was an art major, I worried about finding the right photographers for our wedding because of how picky I am when it comes to photos. Every company I looked at seemed so boring and "by-the-book". 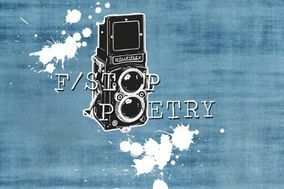 But the second I saw F/Stop Poetry's website I knew I HAD to have them there for our big day. Not only is their work amazing, but Alicia and Erin have that awesome, fun, personality to back up their incredible talent. They maintained a level of professionalism while still making us feel like we'd known them for years. Not to mention our photos are stunning! They captured the elegance and uniqueness I was looking for while staying true to our love story. Erin & Alicia- Thank you both so much for everything! We absolutely loved working with you and can't wait to come back! Fstop poetry did a budoir session with me and it was amazing!! These girls are wonderful at what they do and definately made me feel at ease. I would recommend them to anyone I know!! Great people to work with!!! Erin and Alicia are amazing. They have an incredible eye and work so well together. It was so much fun having them there on our big day. With them, everything went incredibly smooth while creating incredible photographs. We've gotten only rave reviews and recommend them to everyone. They will have our business for life. I have a unique story. Erin and Alicia, photographers of F/S Poetry did not photograph my wedding. They, instead, photographed me beside my husband's memorial. I am a young military widow. My story with these talented ladies begins here: I was wanted to celebrate the life of my husband while also illuminating what it is like everyday without him. How I miss him with every second of my heart beating. I sent Erin and Alicia a quick message and asked them if they would feel comfortable photographing me besides my husband's memorial at the cemetary. The response from them was not only immediate but incredibly warm, welcoming, and filled with such an amazing eagerness to capture these pictures for me. When they arrived at the cemetary they were beyond professional, but also remained tender, supportive, and compassionate. They treated me like I was a 'normal' woman having pictures taken with her husband. For countless moments, I forgot that I was alone, in the cemetary, without my husband. They captured heartfelt, realistic, and memorable images to remind me of the everlasting love of an airman and his widow. I was so impressed with their professionalism, their friendly nature, and their raw talent, that I had them do another photoshoot with me and my dog. What I appreciate the most about these remarkable ladies is that they rarely asked me to pose. They capturde REAL and AUTHENTIC moments and on the rare occasion that I was asked to pose, I was still in an authentic element as they captured the sunshine on my skin, the wind in my hair, and the value and worth of God's natural beauties. On the day that I choose to marry again, and find love, again, I would not have any other photographer than these two ladies. I assure you, their pictures are creative, innovative, and magically capture love, in all of its forms on film/video. I have dreamed about my wedding day since I was a little girl. Pictures last a life time. There are too many wedding that have the cliche photographer that uses the cheesy back drop. F/Stop poetry is not like that at all. Erin and Alicia are a great team that bring out a fun and comfortable envirment along with professionalism. They not only did our wedding photos but also our engagment. I have people comment all the time on how beautiful our pictures are. I am so happy with the results my husband and I can cherish for the rest of our lives. Thank you for bringing our vision to life! We have had many photo sessions with F/stop poetry; our wedding, boudoir photo shoots, Christmas photos, and even for business. Throughout all the sessions, Alicia & Erin made us feel so comfortable by walking us through their vision. Those visions not only told a story, but the creativity that is revealed is so magical and timeless. Our memories live with in these pictures and we could not have been more thankful to have had F/stop poetry capture them. These two women are extremely talented and tell a beautiful story through their work. If you are looking for photos that capture depth and emotion, F/stop poetry is the perfect match. I was nervous at first to not go with the “big name” photography studios that you see ads for left and right when you start planning a wedding. But I had seen F/Stop’s work and when I met with them, I had a gut feeling they were the right fit. I could not have been more right! I still (17 months later) have people comment on Facebook about how beautiful my wedding pictures are. I have had friends book them after they saw my wedding pictures. They are just amazing! My husband was nervous that it would be weird to have someone taking his picture, but he actually enjoyed it and he said they made the guy’s day fun and relaxed. And my girls loved it, as well! The picture are just amazing and I could not have been more pleased, we got them back quickly and images were high quality so we were able to enlarge one for a large portrait above a fireplace. I have no regrets about booking with F/Stop but have heard many brides complain about pictures their photographers “missed” and I can say that they truly captured every single moment and I am so grateful for it. Alicia and Erin did a boudoir photo shoot for me in November of 2010. I could not have felt anymore nervous than I did while driving to the shoot. As soon as I got there to get my hair and makeup done, they made me feel so comfortable. The passion and excitement they have for photography was showing before they were even holding their cameras. Before, during and after the shoot they were professional, personable and so much fun! The end result was perfection. They made me look so beautiful - not to mention my husband enjoyed the pictures as well ;) I would recommend F/Stop Poetry to anyone. Last year I did a boudoir shoot with the ladies of F/stop poetry. I had contemplated doing one years ago when I got married. I am so glad I waited for the right photographers to capture such a personal shoot. Erin and Alicia make you feel like you are just hanging out with them for the day, throughout the whole shoot you are having fun! You can tell these girls love what they do, and they should because they do it so well! I would recommend everyone do a boudoir shoot no matter what stage they are in their life, age, or body type. It can be something to have just for yourself or to give to someone special. These beautiful photos are something you will always have to look back on. When I gave them as a gift to my husband, he was speechless at the thought and talent that went into my shoot. A year later, Erin captured precious photos of our son in an heirloom Christening gown, and our Christmas pictures. This was no easy task with a three month old and two 160 pound dogs, but she took her time and got amazing shots! Once Erin and Alicia photograph you and/or your family, you go back to them again and again to document wonderful memories and times in your life! All it takes is one look through F/Stop Poetry's scope of work and you'll know instantly if they're the photographers for you. For me, they were absolutely perfect. Multiple times throughout my wedding day, my wedding party mentioned to me how much they liked Alicia and Erin and thought they were a great fit for our wedding and how they just "got it." We did a few things that were a little bit quirky and they not only embraced it, but got right into it and really, I could not have asked for more. They have a creativity and style all their own and when you look at their work, that's so obvious. They're not opposed to taking suggestions though, and I (as any bride would) had a few of them, but they worked with me and were able to see my vision so I was able to get the pictures that I wanted. Alicia and Erin also take the time to get to know you. They want to know who you are as individuals and as a couple, and not just so they have an idea about your personalities, but truly because it helps them find that niche in what is going to make your photos special to you. Any other wedding I've attended in the past has only had 1 photographer, so I wasn't sure how it would be going into my day with 2, but now I can't imagine having only 1. There are so many amazing moments to be captured that day and with the 2 of them no minor details were missed. Everyone that has seen my photos so far has loved them and I don't disagree - they're fantastic! I know that I'll be able to continue to look at my wedding pictures years from now and still be in love with them. That's an awesome feeling. And I have F/Stop Poetry to thank. F/Stop Poetry is delightful to work with. Both Erin and Alicia are wonderful at their art and they make it fun for the customer. They were willing to travel to the Milwaukee area for our wedding. The most important thing to us when we were selecting a photographer was the quality of photography. We are happy to say that our pictures turned out great!